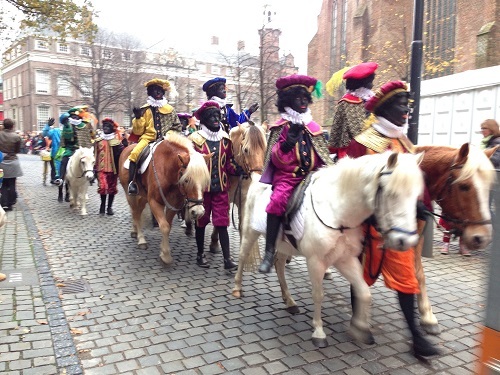 Yesterday, Sinterklaas and Zwarte Piet arrived from Spain. 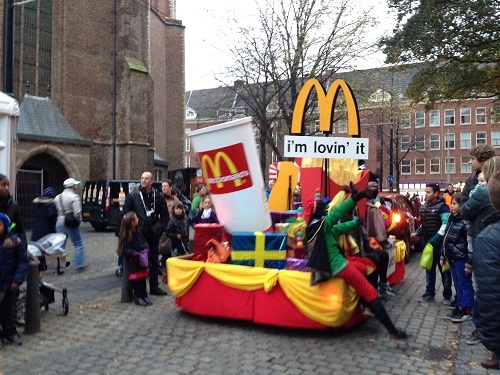 Their boat arrived in Scheveningen. 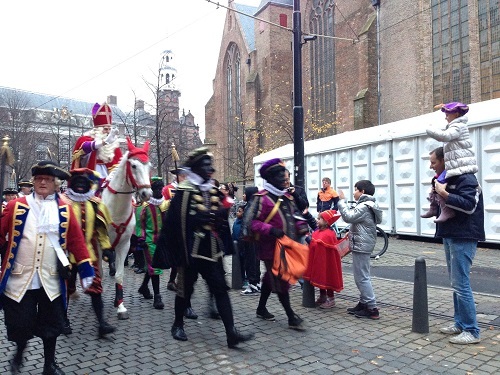 To mark this occasion, The Hague had a parade throughout the city streets. 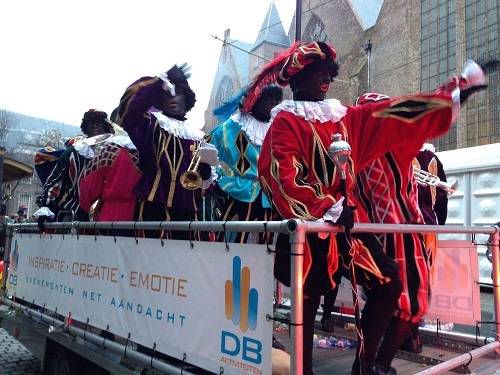 It was a rather long parade as it started in Scheveningen itself at 12:30 and ended at 4:10. 3. 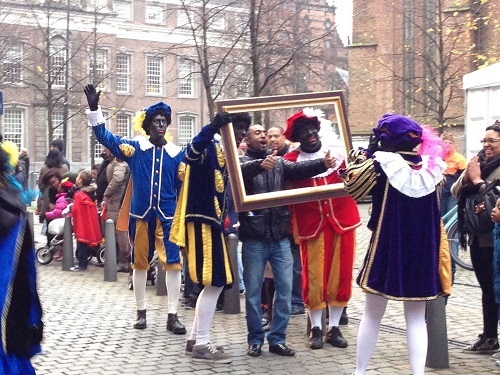 Zwarte Piet passes out kruidnoten, a small, hard ginger cookie, to children. Oh… and sometimes if you have kids, they will beg you to run from one street to the next in an attempt to get more candy. At least that is what Marco’s mom said he wanted! 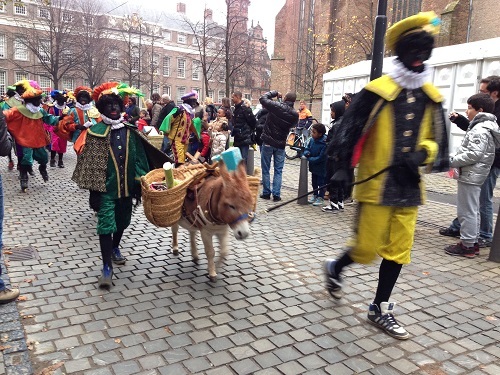 cute donkey… probably one of the few things that wasn’t freezing during this parade! the guy in the black jacket was previously just an onlooker, but is now immortalized forever! All in all a fun parade, though it was weird to be watching another parade so soon after returning from Disneyland Paris, where extravagant on-the-hour parades seem to be a specialty.